As it happens, I have better luck sitting beside rivers drawing than sitting beside rivers fishing. I always end up with a drawing. The evening I drew this was incredibly quiet but for the sound of large hungry fish jumping out of, and splashing back into, the river. Alas, alack, I had no fishing pole, only a sketch pad. 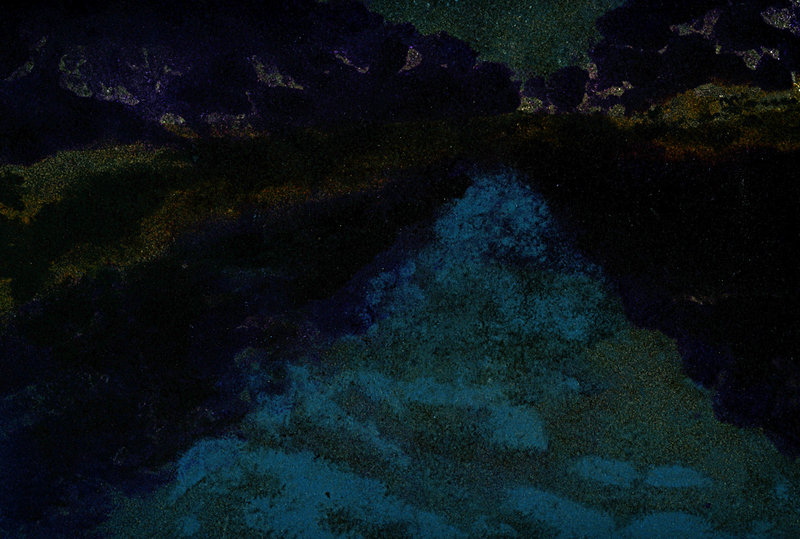 This is a monoprint, not really a print; more like painting with a printing press. 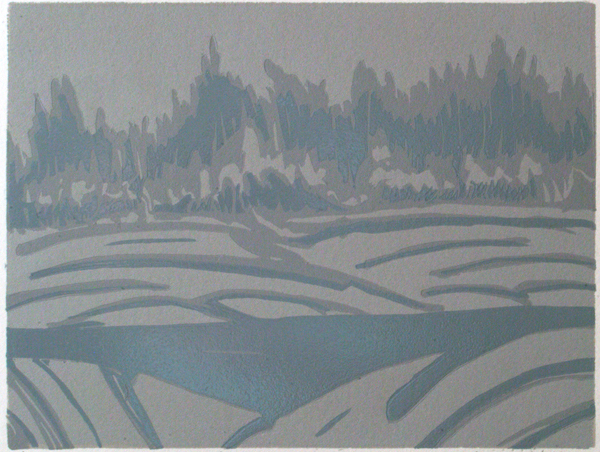 I canoed out into a foggy waterway some years ago and have made a couple of attempts at making a print of the experience. The best I seem to do is to show one frame of what should be a movie. It looks foggy but nothing is emerging out of, nor disappearing into, the mist.